While chiropractic does an excellent job of relieving pain, it does so much more. You see, health isn’t about the absence of pain. The definition of health is when your body is functioning and healing at 100%. Did you know that your brain is what controls your body’s ability to be healthy? The only way your brain can control the rest of your body is through your spinal cord and nerves. If you don’t know how healthy your spine, spinal cord and nerves are, we can help. Dr. Alex uses traditional noninvasive chiropractic adjustments to ensure that your brain and body communicate effectively. He uses an extremely gentle technique on both kids and adults. He also is certified in the Webster Technique that is used to properly balance the pelvis of pregnant women. It is commonly used when a baby is in the breech position. It’s essential to understand that chiropractic doesn’t treat or cure anything but it does what your body is already doing and makes it better. When you come in for care at Maximized Chiropractic, we take you where you are and where we are, mix them and meet you in the middle. You always will be provided with education about chiropractic so you can make a fully educated decision about your care. It’s fulfilling to hear patients say that they’re grateful that we’ve opened their eyes to what chiropractic is and what it can do. Our goal is for every patient to understand the value of a healthy nervous system and to help them reach their goals for their entire life. It’s highly gratifying for us to help patients reach their health goals long term. 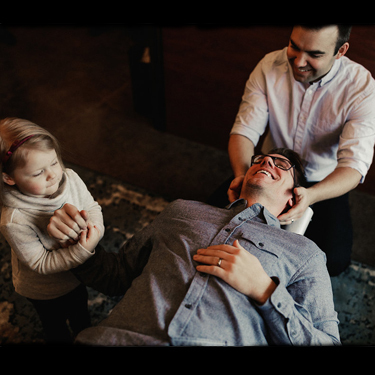 Would you like to find out more about chiropractic care and how it may help you and your family? Contact Maximized Chiropractic in Bismarck today to book an appointment!